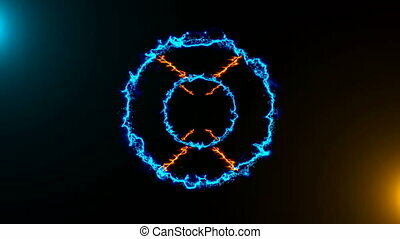 Gently rotating simulated fiber optic cables on ramped blue background create a very pleasing backdrop for your titles or other graphics. Colorful tips add interest. 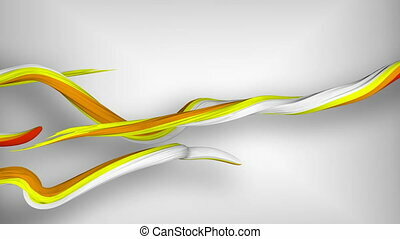 An abstract 3d rendering of horizontally rushing colorful strokes in the grey background. They are of white, blue and white colors. 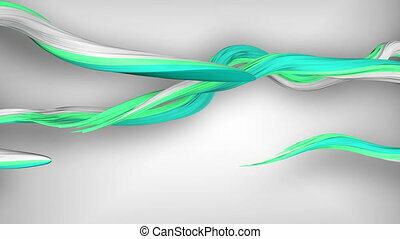 They interlace like snakes with each other. An arty 3d rendering of coiling strokes in the grey background. 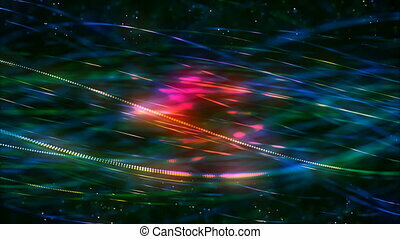 They are of white, violet, light and dark blue colors. They mingle like slimy eels with each other. 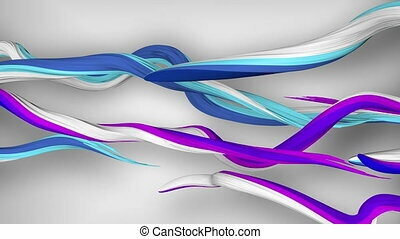 An avant-garde 3d rendering of swirling multicolored strokes in the grey background. They are of white, orange and yellow colors. They interweave like snakes with each other.